Friday Pulp Cover Classics presents another fantastic image from another short run magazine, TOPS IN SCIENCE FICTION. This zine lasted only two issues, Spring and Fall, 1953. It was a reprint mag. 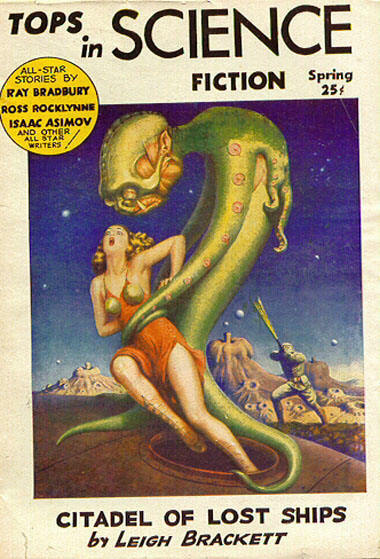 All of its stories came from PLANET STORIES, so it’s not a big surprise that this cover by Leydenfrost was also recycled from the Spring 1942 issue.